Mindjet MindManager - download in one click. Virus free. Download the latest version of Mindjet MindManager with just one click, without registration. It comes with a safe official full offline installer for Windows. MindManager is one of the flagship products of the well-known American company Mindjet, which specializes in mind mapping and innovation management software development. MindManager is especially designed to visually manage information and tasks via mind maps that can be used in many different ways. 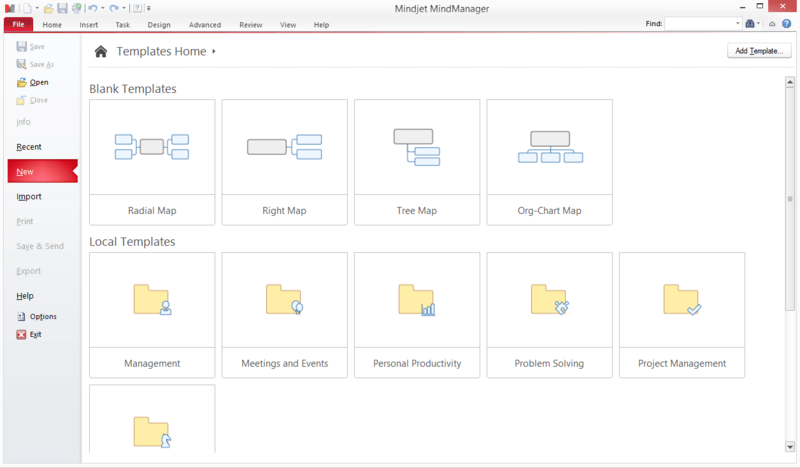 With the help of MindManager you can brainstorm, capture ideas, communicate plans, and, in general, perform project management and business planning with ease. The tools of the application allow you to organize meetings, project flow charts, to-do lists, status reports, etc. Once the data enters the program, you are able to input changes and updates of the project and connect all the areas with each other (the Meeting section collects information from the Calendar and the Human Resources directory). The latest version of the software, MindManager 15, enhances opportunities provided. First of all, it gives you the choice either to update all related tasks automatically (when you shift your project start date) or maintain the milestone dates. Then, the program can now instantly remove slack time for dependent tasks so that you definitely speed your projects revisions. Also, a good improvement is the present developers' focus on presentational content rather than on the mechanics of a slide creation. With MindManager 15 you can now create slides automatically from the mind maps. By the way, speaking about mind maps, it's important to know that now the app has even more templates, topic map parts, online map galleries to chose map templates from. 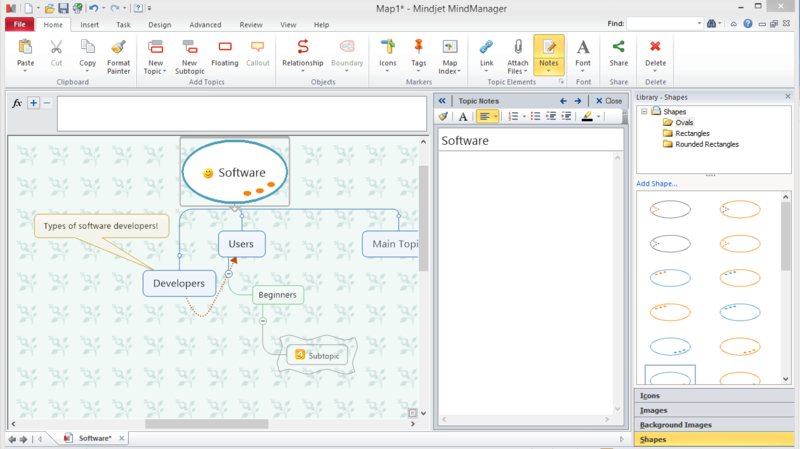 All in all, Mindjet MindManager is a powerful tool for using mind maps as virtual whiteboards on your computer. It helps you capture ideas, then order them, connect into one project or group the main concepts into one theme. MindManager offers you an effective and colorful way to visualize all the information you have and no to forget important details. However, to discover all the options you might need to spend some time reading tutorials and guides included. Still, the program provides a user-friendly interface. Is suitable for business projects. Manages information in a single dashboard. Is compatible with other productivity applications. 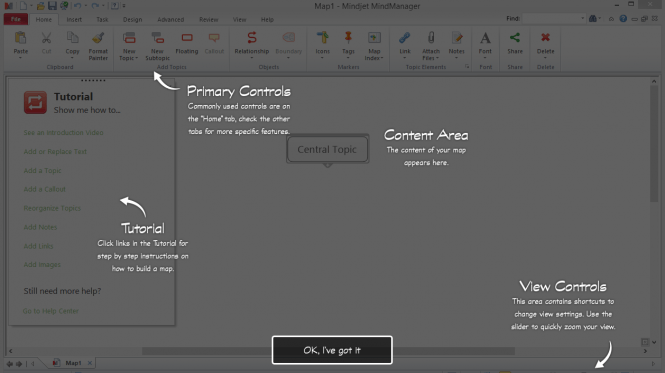 Allows you to work with interactive mind maps. Provides attachments, notes, hyperlinks to add details and connect ideas. Offers a great number of diagrams, charts, layouts to structure information.